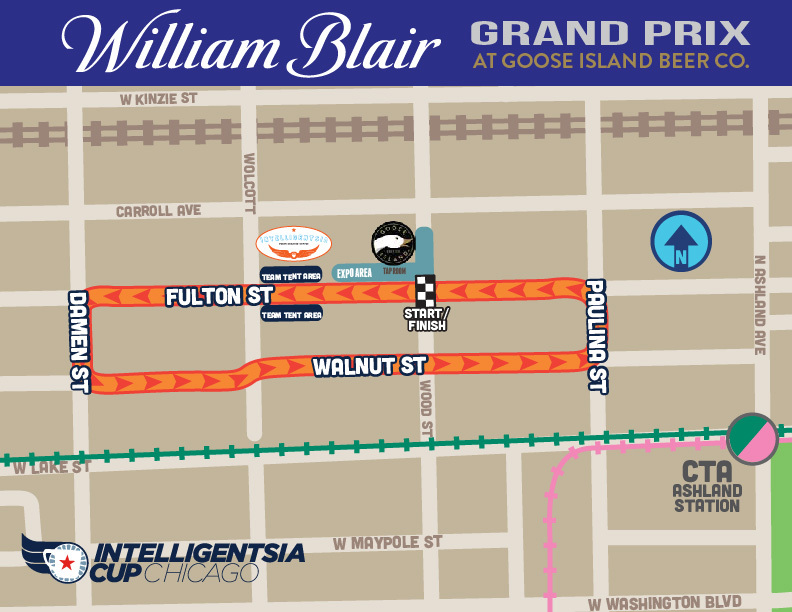 The 2018 series will again finish in Chicago next to Intelligentisa’s roasting works with the William Blair Grand Prix at Goose Island Beer Co. This four-corner crit with a slight chicane on the back-stretch and wide-open turns makes for a fast race with a long sprint. But combined with the effects of eight or nine days of racing under your legs, the final race of the series is its own unique challenge. Finish off your day and series with a beer at Goose Island or one of the many other breweries in the newly designated Chicago Brewing District. GPS Directions Parking is located on the streets around the course.